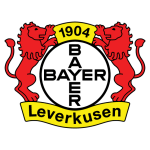 Bayer Leverkusen vs AEK Larnaca predictions for Thursday’s Europa League face off at the Bay Arena. Bayer Leverkusen are looking to make it two Europa League wins from two against Cypriot side AEK Larnaca. Read on for all our free predictions and betting tips. Bundesliga side Bayer Leverkusen take on Cypriot outfit AEK Larnaca at the BayArena on Thursday in Europa League Group A, looking to make it back-to-back wins in the opening two fixtures of their section. Bayer Leverkusen took maximum points on their first continental excursion of the season last month, when they came from two goals down to beat Ludogorets 3-2 in Bulgaria. A brace from talented attacking midfielder Kai Havertz hugely aided their comeback and the 19-year old is expected to feature again this week. Domestically, Bayer have found victories hard to come by however. Die Werkself have won just two of their opening six Bundesliga fixtures of the 2018/19 season, losing the other four. Last time out, Bayer raced into a two-goal lead at home to Borussia Dortmund, before suffering a complete capitulation in the second forty-five. Dortmund scored four times without reply in the second period and eventually left Leverkusen with the points and a 4-2 win. The result ended a run of three straight wins in all competitions for Leverkusen and while the defeat was a tough one to swallow, there have been signs in recent weeks that Bayer are starting to kick into gear. Coach Heiko Herrlich will have identified Thursday’s Europa League contests against AEK Larnaca as a real confidence and momentum building fixture. Bayer have only lost three of their last eighteen home matches in the Europa League in a run stretching all the way back to 2007 and they are huge favourites to enhance that run this week. AEK Larnaca were extremely disappointing in their first Europa League outing against Zurich on September 20th. The Cypriots couldn’t make much headway against the Swiss side, registering just one shot on target during the ninety minutes. Zurich left Cyprus with a 1-0 win, and though the final score was close, the manner of Larnaca’s performance suggests that they will find life tough at Europa League level. Incredibly, that loss remains Larnaca’s only defeat in eleven competitive matches this season. The gap in quality between domestic football in Cyprus and the Europa League is vast however and we expect AEK Larnaca to struggle again on Thursday against a much stronger Leverkusen team. The lack of cutting edge Larnaca showed against Zurich has seeped into their recent domestic performances too. AEK have scored just three times in their last four matches and we’re predicting their lack of quality and consistency in attack to be a key element in Thursday’s game in Germany. We expect Bayer to dominate this one, and we’re tipping Leverkusen to win to nil on Thursday. Following along the same lines, we’re predicting Bayer to be winning at half time and full time this week. A record of just three defeats in eighteen Europa League home matches shows that Leverkusen are extremely comfortable competing at that level and they should have little problem pushing past a lacklustre Larnaca team. Our correct score prediction forecasts a 3-0 win for the hosts. Bayer 04 Leverkusen and AEK Larnaka have never met in European competition previously, with Bayer’s only previous European encounter with Cypriot opposition was in July 1995 in the Intertoto Cup, winning 2-0 away at Nea Salamis Famagusta. 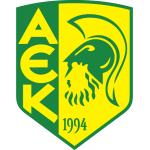 AEK Larnaka’s only two previous European games against German opponents was in the 2011-12 Europa League group stages – they lost 5-0 at home to Schalke, before drawing 0-0 away in Germany. Bayer Leverkusen are unbeaten in their last nine European group stage matches (W3 D6 L0), with eight of those in the Champions League and the other their 3-2 win against Ludogorets in the Europa League this season. Excluding qualifiers, this will be AEK Laranka’s 10th match in European competition – they’ve won just one of their previous nine (D3 L5), a 2-1 win over Maccabi Haifa in December 2011 in the Europa League. Bayer Leverkusen’s Kai Havertz scored two goals from outside the box in their win over Ludogorets, the first player to do so in a Europa League match since Slavia Prague’s Josef Husbauer against Maccabi Tel Aviv in November 2017.